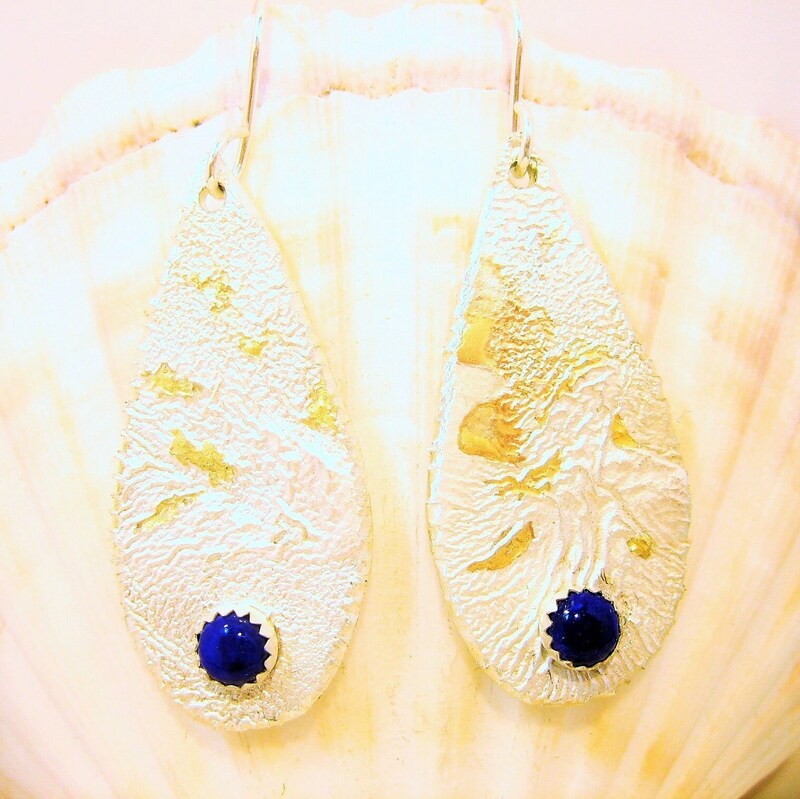 "Royal Blue" - These earrings have a heavily textured using reticulation and washed with bits of 14kt gold. Lovely lapis lazuli are bezel set in serrated cups lending this piece a unique and elegant look. They are very lightweight and measure about 2" from top of earrings to bottom of earring. Super comfortable and look amazing on!